A Sri Devasena: Jangaon district collector and promoted IAS; Selected for the project ‘Training and mass demonstration of martial arts and self-defence techniques by girl students of government schools". Both of them were selected for their project STARS-30, under which coaching is provided for tribal junior college students for competitive examinations. 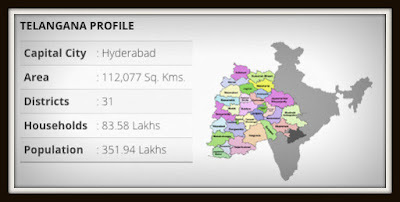 T Chiranjeevulu: Metropolitan Commissioner of Hyderabad Metropolitan Development Authority; Promoted IAS; Selected for a project called Development Permission Management System (DPMS) mainly to fast-track processing of building permissions. Dr Yogita Rana: Nizamabad district collector; originally belonging to Jammu and Kashmir; A doctor-turned IAS; Selected for a project on rehabilitation of HIV-infected children. A Murali: Collector, Jayashankar Bhupalapally district collector; Promoted IAS; Selected with his team for taking initiative towards building confidence on government medical institutions among public. Dr A Sharath: District collector, Jagtiyal; Promoted IAS; Selected in the organization category for the project ‘paddy procurement’. Gaurav Uppal: Nalgonda district collector; A doctor-turned IAS of 2005 batch; Selected for the Arogya Lakshmi scheme. Vakati Karuna: Selected for rolling out the 'KCR Kits' scheme, meant for providing an assortment of useful items to new born babies and their mothers. CV Anand: IPS officer; Selected for bringing in more efficiency while implementing the public distribution system (PDS). 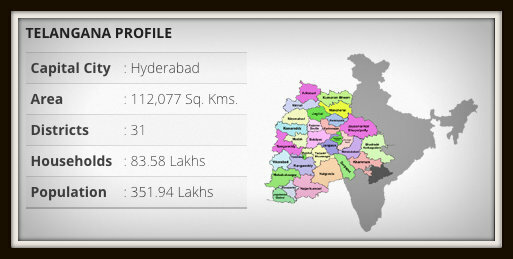 He is known for taking on the menace of drunken driving in the city of Hyderabad earlier. RS Praveen Kumar: IPS officer; Selected for running social welfare residential schools among others.